In spite of promising to continue protesting, for the past two weeks it’s been quiet on campuses. Student leadership in universities in KwaZulu-Natal had said student protests were most likely to continue, this after the minister of higher education and training Naledi Pandor allocated almost R1 billion to universities to settle outstanding debts owed by the National Student Financial Aid Scheme (NSFAS) beneficiaries. Since that announcement, there has been no indication of demonstrations in campuses. Nsfas spokesperson Kagisho Mambolo told The Daily Vox that the organisation only has stats for funded students who meet the criteria. As for the total budget of Nsfas disbursements for 2019 Mambolo said the amount is expected to increase this year to approximately R32 billion, which is estimated to fund about 800,000 students at TVET colleges and universities. “Last year, in 2018 alone, NSFAS disbursed loans and bursaries to the tune of R22 billion for 707,332 students (376,363 universities and 330,969 TVET colleges),” said Mambolo. The department said the allocation of R967 million will only benefit students who were funded under the previous NSFAS scheme before improved funding was introduced last year. Meaning that those who will benefit are students who fell under the banner of the ‘missing middle’, who had to fund a portion of their studies due to their families’ annual income being above R120,000. Student representative council (SRC) central president at the University of KwaZulu-Natal Sanele Hlongwa said the move by the minister was ill-considered. “The issue of historic debt was not the only driving force behind protests, especially in UKZN. There are other issues which should have been prioritised, like the issue of unfunded postgraduate students who are starving in residences. “Yes this is victory for students whose academic records are being withheld, as it will contribute to their relief. However, it doesn’t solve the real issues the majority of students are faced with. Having an historic debt in our institution doesn’t prevent one from registering or accessing their academic progress, so this shouldn’t have been prioritised,” he said. Each year students across the country have run into problems during registration, due to historic debt. Many institutions prevent indebted students from being able to continue with studies. This has seen a series of violent protests resulting in clashes between students and police. 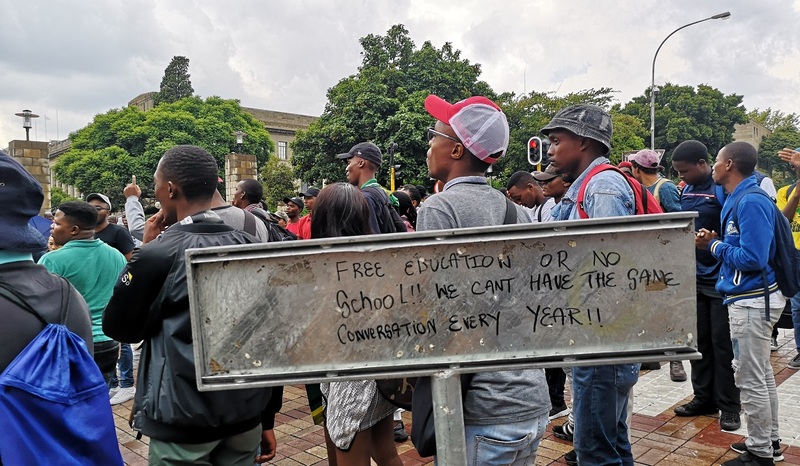 This year alone, students at various institutions including Mangosuthu University of Technology, Durban University of Technology, and University of KwaZulu-Natal were rocked by protests which often forced total campus shutdowns. The SRC at Mangosuthu University of Technology says as much as it welcomes the move by the minister, they hope this is not an electioneering strategy. “We have been calling for assistance with historic debts for years now, so it is a great relief that it’s finally happening. We are now approaching elections and we hope this is not an electioneering stunt on the minister’s side. Also, as much as this will assist, we urge the minister to address the matter of the promised free education because NSFAS is not in anyway a model of free education. And this doesn’t solve all our financial issues,” SRC president Codesa Gwala said. For years now, students have found themselves in limbo after being kicked out of residences, and some forced to drop out due to owed fees. The minister’s cash injection decision comes at a time where students are demanding for post graduates to also be funded. However, with the historic debt settlement only targeted at NSFAS students who registered between 2017 and 2018, those with historic debts from 2015 and 2016 are still left in the dark, as the decision doesn’t solve many students’ financial exclusion woes. On the issue of postgraduate funding, UKZN management said it had no money available to fund students and had never committed to funding anyone. Meanwhile, MUT NSFAS would fund certain BTech programmes. 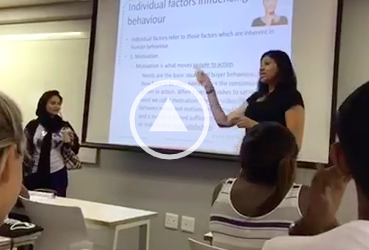 Additional reporting by Fatima Moosa.